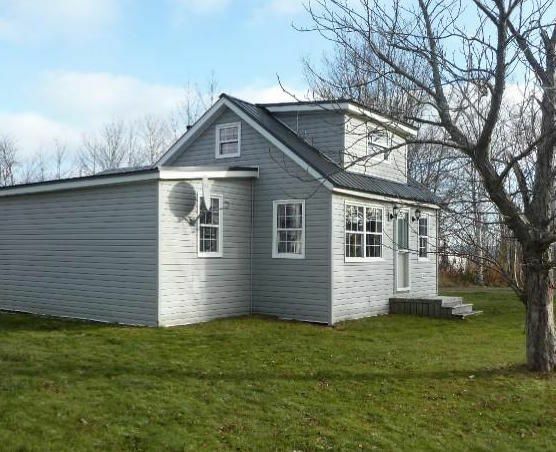 Up for rent is a lovely detached home located in the heart of the charming Village of Baddeck. This home provides the guest with the perfect "home-base" for their Cape Breton vacation. Guests can walk to all destinations in the village and take advantage of the museums, shops and restaurants. The beautiful Bras D'or lakes are not far away, a five minute walk from your doorstep and a guest can enjoy the free ferry ride to Kidston Island Beach for a swim or to simply enjoy the sun. The Village of Baddeck is centrally located making it a great option if you hope to get out and enjoy different communities in Cape Breton. Baddeck is the start and finish of the world famous Cabot Trail, as well as a one hour drive from Port Hood, Mabou, Inverness, Margaree, Cheticamp, and Ingonish. All communities boast beautiful beaches, shops, and restaurants. If it's golf that you're after, all of Cape Breton's premiere courses are no more than a one hour drive: Bell Bay, Dundee, The Lakes, Le Portage, Highlands Links, and Cabot Links. The home itself is a completely renovated two bedroom unit. The building has been restored and updated to modern tastes. One bedroom has a queen bed, the other provides a double. There is a day bed in the living room, as well as a futon in the office off of the bedroom on the main floor, making this property comfortable for 4-6 adults or a family. The unit has one full bathroom on the main floor. The brand new custom kitchen with stainless steel appliances and all kitchen necessities give the guest the option of cooking during their stay, barbeque also provided. The unit has a washer and dryer, as well as a flat screen television with cable, and free wireless internet to keep you connected. This property provides a great option for those seeking more value, and increased space during their stay, message today for information on availability and confirmation of rates. Born and raised in the Village of Baddeck, I've been able to experience first hand the beauty that it has to offer. After graduating high-school and moving away a person realizes how special their hometown truly is, and this is no different for me, Cape Breton truly is my favourite place to be in the spring, summer, and fall. My hope was to own a piece of Cape Breton that I could truly call my own. This property allowed me to do that. With significant work and investment I am very pleased with the final result. The home has come a long way and is ready to be enjoyed. The unit has one full bathroom. Full tub with shower, sink, and toilet. All towels, face cloths, toilet paper, and basic bathroom products provided. This property is located in a residential area of the Village of Baddeck, within walking distance of all the amenities and popular destinations the village has to offer. Situated in the Village of Baddeck, guests can enjoy a short stroll into the Village with a beautiful view of the Bras d'Or Lakes providing the perfect back drop.